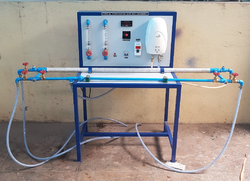 Manufacturer of a wide range of products which include shell and tube type heat exchanger, heat pipe apparatus, lagged pipe apparatus, pin fin apparatus, stefan boltzmann apparatus and condensation in drop wise film wise apparatus. 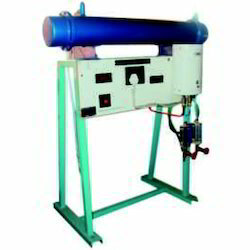 We are offering Shell And Tube Type Heat Exchanger Apparatus to our clients. Thermocouples Teflon coated Cr Al (K-type)-12 no. 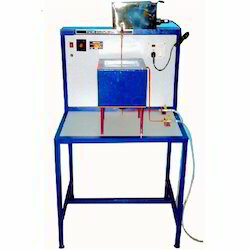 We are offering Heat Pipe Apparatus to our clients. Thermocouples: Teflon Coated Cr –al (K-type)-12 Nos. 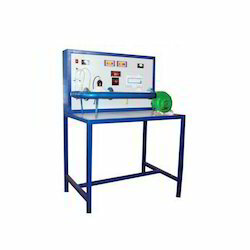 We are offering Lagged Pipe Apparatus to our clients. Thermocouples Teflon coated Cr Al (K-type)-6 no. 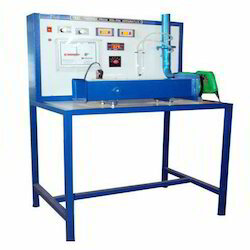 We are offering Pin Fin Apparatus to our clients. 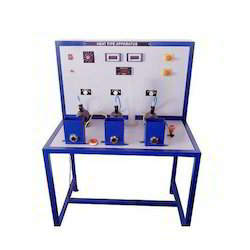 We are offering Stefan Boltzmann Apparatus to our clients. We are offering Condensation In Drop Wise Film Wise Apparatus to our clients. We are offering Thermal Conductivity of Insulating Powder to our clients. We are offering Thermal Conductivity of Metal Rod to our clients. Study Of Conduction Of Heat In Unsteady State Refers To The Transient Conditions Where In Heat Flow And Temperature Distribution At Any Point Of The System Vary With Time. 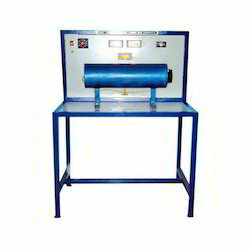 The Unit Consists Of Small Test Cylinder. 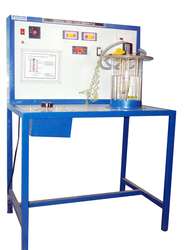 The Cylinder Is Heated By A Hot Bath, Till Steady State Is Reached And Then Cooled In Air Or Water Bath. 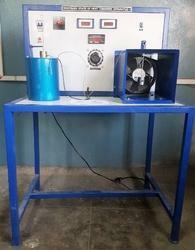 During Both, Heating & Cooling, Temperature Of The Cylinder Is Function Of Time & Hence Heating & Cooling Of Cylinder Are Unsteady State Heat Transfer Process. 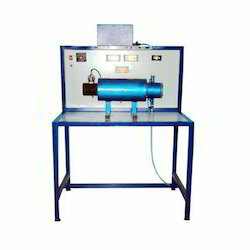 The Temperature Of Test Cylinder Is Measured With The Help Of Thermocouple. 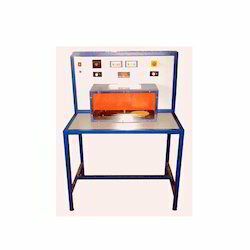 The Hot Oil Bath Is Provided With Heater With Input Control For Experimentation Of Different Bath Temperatures. A whole system Is A Single Unit, Consists Of A Metallic, Powder Coated Control Panel With M S Square Tube Table, Which Gives Esthetic Finish. 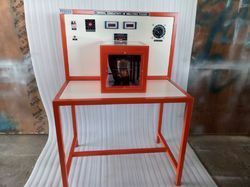 The Apparatus Provided With Digital Instrumentation To Get Accurate Readouts And Results. Thermocouples: Teflon Coated Cr –al (K-type)-3 No. Dimmer Stat 230v,2a Will Be Supplied With An Extra Cost Of Rs-1000. 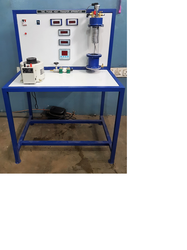 We are offering Emmisivity Measurement Apparatus to our clients. Thermocouples Teflon coated Cr Al (K-type)-7 no. 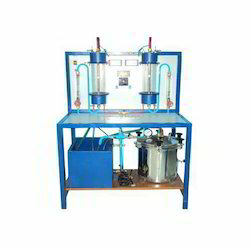 We are offering Forced Convection Apparatus to our clients. Digital Temperature Indicator ,0-199.9°C with Thermocouple selector switch . Teflon coated Cr –Al (K-type)-4 no. Thermocouples :Teflon coated Cr –Al (K-type)-3 no. Minimum Order Quantity: 1 1No. 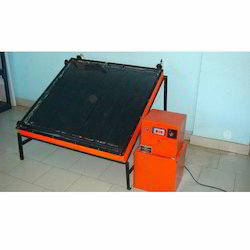 We are offering Solar Flat Plate Collector to our clients. We are offering Composite Wall Apparatus to our clients. 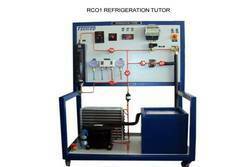 We are offering Refrigeration Tutor to our clients. 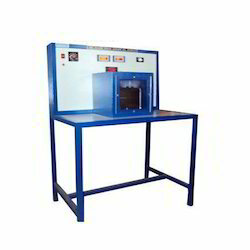 Looking for Heat Transfer Labs Instruments ?